Welcome to Star Scientific Glass Co. Manufacturer & Supplier of Industrial and Certified Laboratory GlasswareWe are an ISO 9001:2008 certified company, incepted in 1997, at Vadodara. OurAdvanced infrastructure helps us to cater North America & West Europe. DCM Shriram Industries & Jubilant Life Science Ltd. are some of our prestigious clientsand we are backed by Dimensional accuracy & Diligent professionals. We offer a vast range of Laboratory Tee, Pipes, scientific Flange & Lab Absorbers. Our Industrial, Laboratory Glassware & Equipments are a class apart. 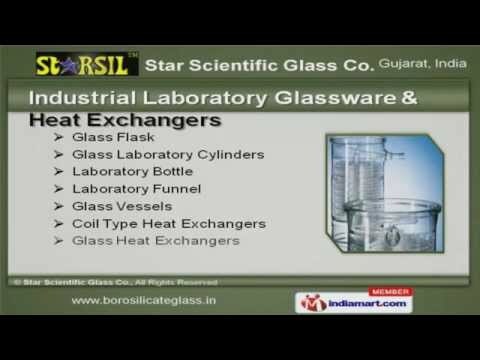 Industrial Laboratory Glassware & Heat Exchangers offered by us are widely acclaimedin the market. Our Laboratory Tee, Pipes, Scientific Flange & Lab Absorbers are cost effective. We are specialized in offering Distillation Unit, Teflon Components & Packaging Units. Along with that we offer PTFE, PP & MSTL Products that are some of our best sellingproducts. Glass Tubular Reactor by Star Scientific Glass Co.